Shona Richards is a rising star on the track. 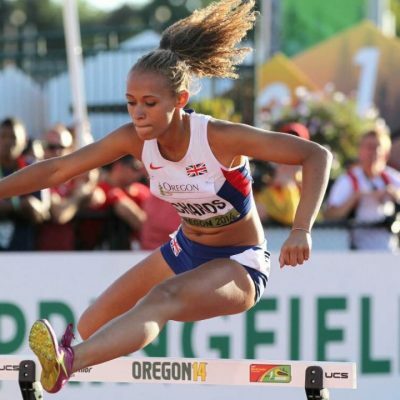 After igniting her passion for athletics in 2008, Shona went on to compete at the 2013 European Junior Championships, narrowly missing out on a medal. After suffering many injuries, Shona unfortunately missed out on the chance to secure a spot on Team GB for the Rio 2016 Olympic Games. As a result of her strong determination and drive, Shona is back on track and regularly trains at Everyone Active’s David Weir Leisure Centre. Shona’s hopes to become a World, European and Olympic medallist, and she is currently in preparation for the Tokyo 2020 Olympics.